One of the most exciting occasions for a woman is when she receives a surprise bouquet. Yellow roses are a lovely and unusual flower to receive and sure to be appreciated. Yellow roses with their sunshine color show the joy and happiness that friends bring into our lives, and as such, the yellow rose is very appropriate to send to friends. One of the things that make the yellow rose so special is that it indicates a true friend, and a true friend is a rare and wonderful gift. Always remember to include a card with thoughts that pass on the message of the flower in words spoken from the heart. The yellow rose meaning will not be hidden in any way when you share it in your own language of love. Early traces of yellow roses were discovered to grow in the Middle East and Southwest Asia as early as the 18th century. Color ranges varied from pale yellows to deeper browns. Upon discovery, traveling Europeans brought them back to Europe and began growing and hybridizing them often mixing them with white roses. The Dutch and the French were the primary cultivators of yellow roses outside Asia. Yellow roses, unlike their pink and white counterparts, were a tough sell due to their bad smell hence the nickname “sulfur roses.” Some of the early yellow rose hybrids were maligned with a black spot in addition to the smell. Nevertheless, after significant trial and error, the flower was perfected to the color and shades you see today. Floriography is a complex and elegant language with many levels of meaning and innuendo and is used to send signals about feelings and emotions that the sender is not willing or able to speak of to others. As the language of flowers was complicated and intricate, the meaning of a flower and its color could be expanded on and changed by what is sent or held with the rose. 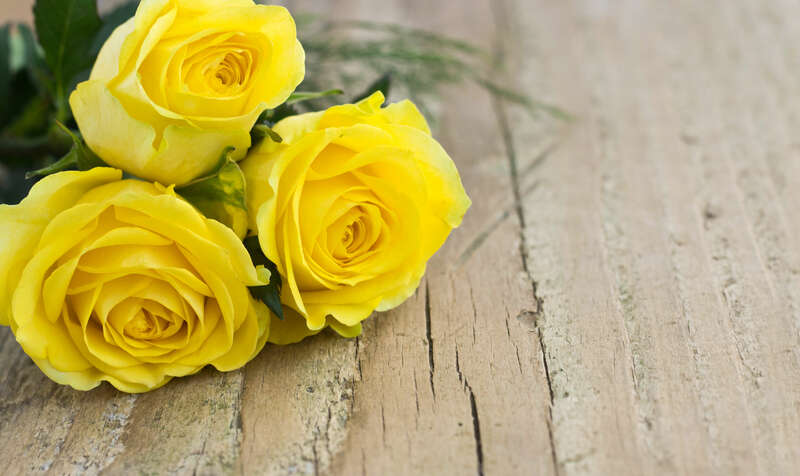 The yellow rose is often used to indicate happiness, friendship, and caring, but certain combinations could change the meaning to happy with the domestic life or innocent friendship. The yellow rose adds an element of happiness to any flower arrangement. Friendship is the primary meaning of the yellow rose. The yellow rose can also mean a love that is familiar or happiness with the domestic arrangement. As the yellow rose can indicate happiness with the domestic it is very appropriate to use yellow roses in a bridal bouquet. A yellow rose with no thorns could indicate love at first sight and happiness and esteem. Rosebuds indicate youth and innocence, so a yellow rosebud could indicate an innocent and happy heart or caring and innocent friendship. 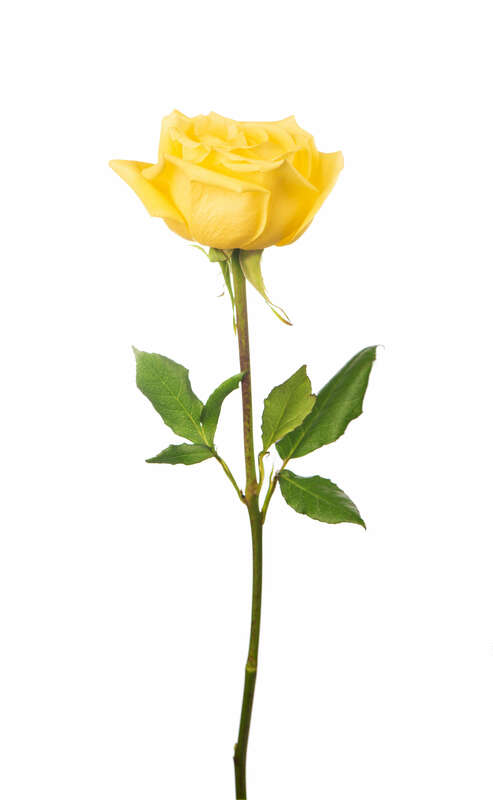 In Germanic countries the yellow rose is used to indicate jealousy. What Is the Meaning of a Single Yellow Rose? 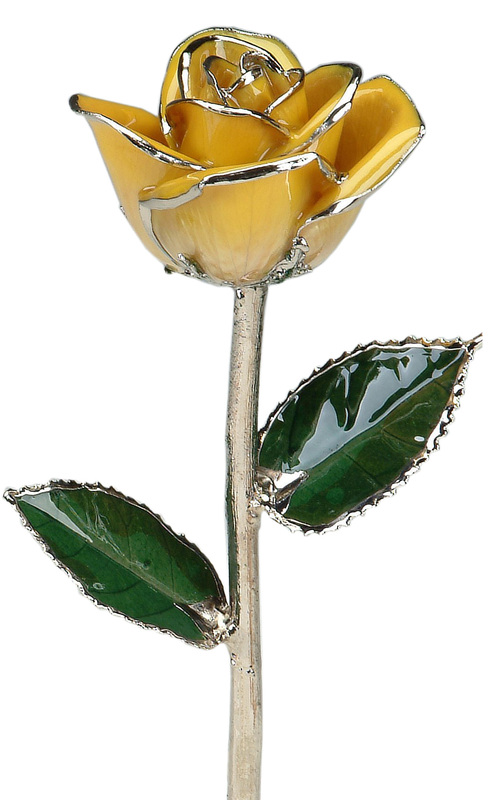 In Victorian England women found the gift of a single yellow rose as a sign of jealousy. Today in the United States however, giving your significant other a single yellow rose symbolizes mutual happiness and love in your relationship. You may also give your best or only frienda single yellow rose as a sign of your platonic friendship. A yellow rose with red petal tips could indicate that you are falling into love from friendship or a plain indication of falling in love with the person you are presenting them to. A bouquet of yellow and white roses can express your appreciation of happy innocence or harmony and unity. Yellow and red roses can indicate happiness and celebration. Looking for a great gift for your significant other or best friend on their birthday? Our 24Kt Yellow Gold Trimmed Roses are coated in a clear lacquer to enhance the natural color and beauty of the rose buds. Then the leaves, stems, and prongs are finished in genuine 24 karat gold.